Money is the extreme determinant of how the individual is set to live with his life. People often say it the more the better. But considering the scenario of the present world, the more one has it, the more help one needs. People are so fearsome with its utilization that they require an expert advice to actually make a transaction. The monetary factor compels the individuals to enter in the field but this feel is soon driven away once the challenges make their way to him. 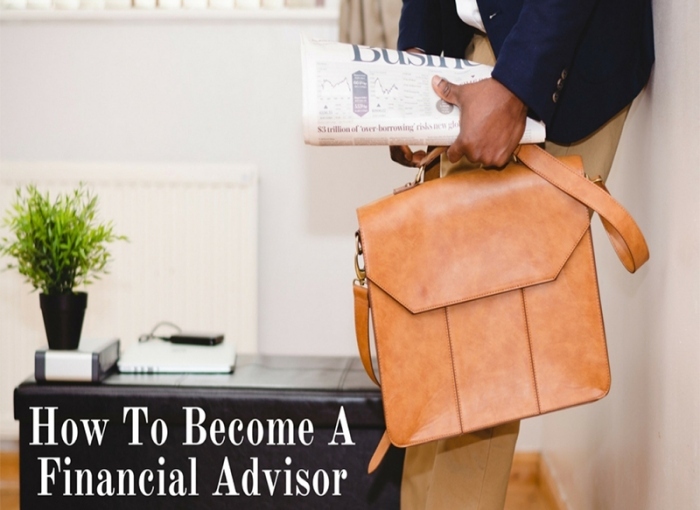 If you perceive to be as one of the upcoming experts in the field, I recommend you read further before actually beginning your financial advisor expedition. A financial advisor is a person who carries the responsibility to assist the people in sound decision-making pertaining to money and its management. His responsibilities fall under the criteria to understand the needs, the financial soundness, aims, and goals of the individual. He then facilities them by providing them with recommendations and suggestions based on his evaluation. This evaluation further paves the path for that particular individual for the achievement of his set goals. FOR WHOM A FINANCIAL ADVISOR WORKS? The work of a financial advisor varies in a diverse setting. The diversification of the working settings makes opens doors of opportunities, as the main component in it is present in every sector. It roles expand from large corporations to new start-up ventures or independent worker. The association decision completely depends on the individual preference and the goal or aim he has set for himself relevant to his growth in the discipline. Further subcategories also exist in it, such as finance, investment or insurance, which selection is also dependent upon the individual preference and interest as well as drive. The general services can also be selected based on the individual working strategy. Most of these advisors are usually the facilitators at the educational institutions who provide the students with the nurturance of the financial aspect and the growth which this sector continues to undergo. The networking and self-marketing play a special role in the success. WHICH THINGS CAN HELP INDIVIDUAL BECOME A PROFICIENT FINANCIAL ADVISOR? An individual possessing a profound understanding of the field is an added bonus. The minimum requirement is a degree in finance or accounting. In his degree program, he must have outperformed in the courses such as finance, accounting, and economics, which allows him to make wise choices and decisions. Further, if these are assimilated with strong verbal and communication skill, the prospect of growth become all more positive. Possessing a masters degree also boost the probability of him being hired and preferred among the applied candidates. Additional knowledge of legal formalities as well as the law is also important. Students are advised to undergo two or more internships to gain the maximum exposure of the field and the industry. Indulging in voluntary works is also beneficial in terms of his understanding and growth as a successful financial advisor. This widens your network, and you become open to more job opportunities. Going an extra mile in with regard to what we want to excel in is always fruitful. There exists a robust and sturdy prospect for the growth of the field. In years to come, the spectrum of a financial advisor is said to become more vast and versatile. A new wave of the growth is the aging population seeking financial advice for their retirement. Therefore, make sure you are all equipped with the financial gears to help people overcome their financial hurdles. Ron Olive is an expert researcher and academic influencer who has wide experience in writing research articles on different niches, including education, tech, laptops, computers and other academic subjects to help the students across the world. Ron is affiliated with various cheap essay writing services providing agencies as a professional writer. He believes in crafting the imaginative ideas to engage the readers in getting his point of views effectively.